No Limit Hold'em $1,000,000 Guarantee. David Steicke is a successful commodities trader who lives in Hong Kong with his wife and family. Somehow, he has found time away from career and family to become one of the most successful high-stakes tournament poker players in Australia and the Pacific Rim. David Paul Steicke was born on October 28, 1962, in Murray Bridge, South Australia. He lived part of his adult life in his home country and another part in Hong Kong. As an adult, he went into the business of commodities trading, which remains his full time job. When poker entered Steicke’s life, he took the same approach as he did with commodities. He would learn the game well enough to compete with the best in the world, and he would play at high stakes to keep it interesting. And that’s just what he did. With a penchant for taking risks, Steicke entered the world of tournament poker in 2007 when the Asia Pacific Poker Tour came to Macau. He played the $15,000 NLHE High Roller event, and he finished in 3rd place for $110,592. He then launched into the following year by playing the Aussie Millions in Melbourne, and he final tabled a AU$1,000 NLHE event, finishing 6th for AU$26,300. Steicke even made a trip to Las Vegas for the 2008 World Series of Poker, where he cashed in 3 events, including a 4th place finish in $2,000 NLHE for $166,333. He then flew back to Macau, where he made the final table of the APPT High Roller event and finished 5th. His first tournament victory came in 2009 when he won the Aussie Millions Poker Championship AU$100,000 NLHE Challenge for $1.2 million, and he won another High Roller event later in the year at the Asian Poker Tour stop in Macau. More final tables that year included everything from the High Roller Championship at the EPT Grand Final in Monte Carlo to the High Roller event at WPT Warsaw. He rounded out the year by winning a bounty tournament at the APPT stop in the Philippines. In 2010, David proceeded to record a pair of 4th place finishes at the Aussie Millions, in LHE and in a NLHE Bounty event. 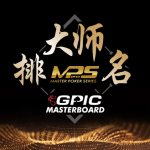 After 2 cashes at the WSOP, he made the final table of the Macau Millions, and then he won a bounty event at the Macau Poker Cup, where he also final tabled 2 other events. And he made a final table at the APPT Sydney. Steicke started 2011 with another Aussie Millions final table, this one in an AU$100,000 NLHE event, finishing fourth for AU$325,000. In September he finshed one spot short of capturing an Epic Poker League Main Event title, finishing 2nd to Mike McDonald for $506,260.